I know I know before you even say it. But believe me when I say that it tastes a lot better than it looks. My sweet neighbor gave me this green smoothie recipe and I tried it for the first time today. DON'T smell it....just drink it and you'll be surprised. 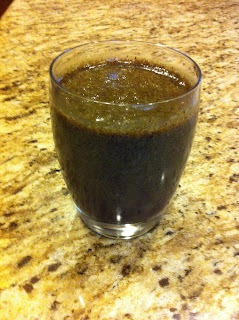 Let me know what you think or if you have an easy green smoothie recipe. Yum!! 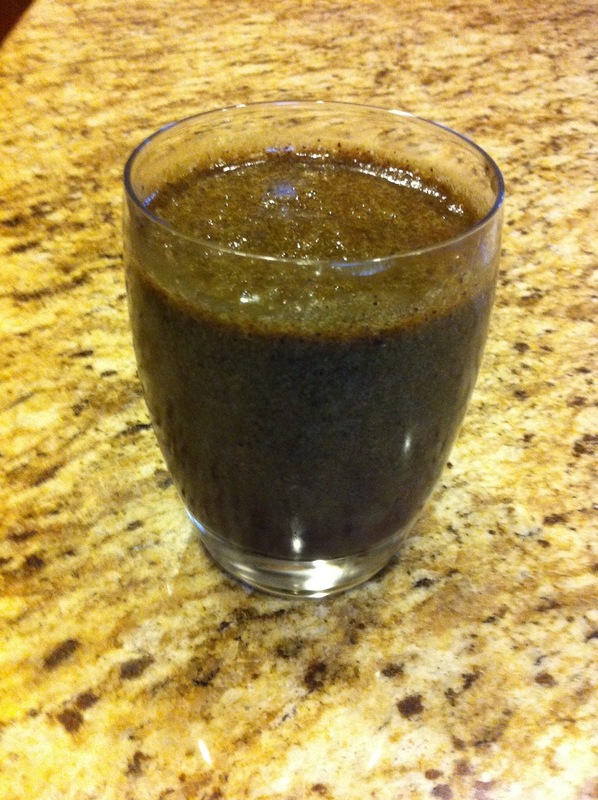 We LOVE the green smoothies around here--and we agree-- they taste MUCH better than they look! I try to buy the berries/grapes fresh and freeze them, because then it makes it a nice "smoothie" consistancy after it's blended up. You can add honey if you like a little sweeter smoothie. Fill the remainder of the blender with spinach. Blend until smooth. YUMMY. THE PB really fills you up.